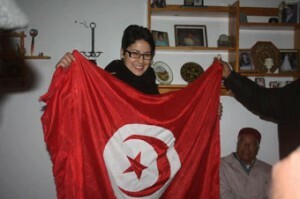 Khaoula Rashidi [خولة الرشيدي ] is a University of Manouba (Tunis) student who gained national celebrity after a video circulated of her attempt to stop the Tunisian flag from being taken down when a group of religious activists replaced the campus Tunisian flags with a black banner– a symbol associated with Jihadi Slafism. 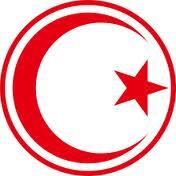 A video circulating online shows Rashidi intervening when a Salafist militant removed the Tunisian flag and raised the Jihadists’ black flag at the Manouba University near Tunis. He pushes Rashidi off a wall as she tries to intervene. 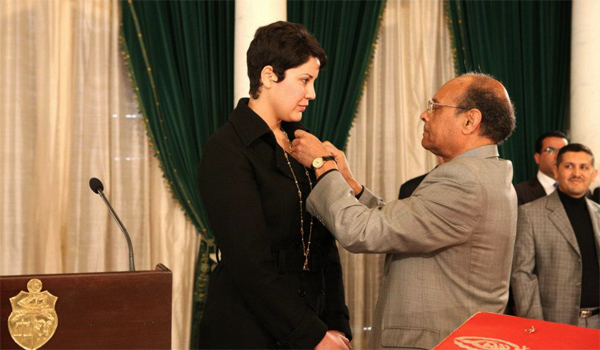 On March 12, Tunisian President Moncef Marzouki officially honored Khaoula Rashidi, a University of Manouba student, for defending the Tunisian national flag. “The flag is the symbol of the country … the blood of martyrs … and the Arab-Islamic identity,” stated Marzouki in an emotional speech delivered during the ceremony. Marzouki also condemned the violation of the flag and emphasized its symbolic sanctity. 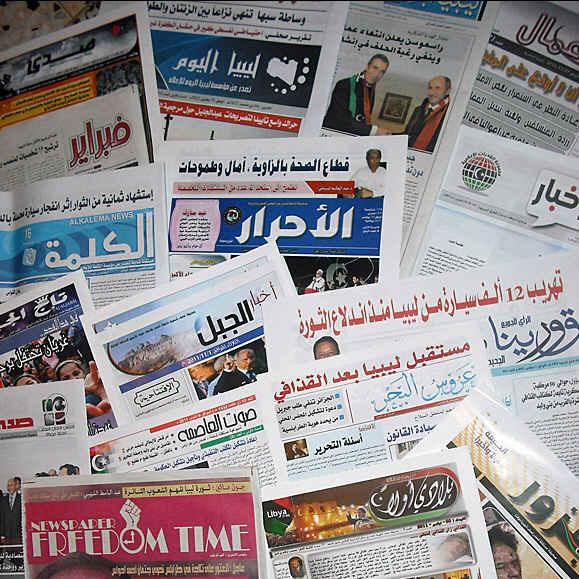 Marzouki urged the perpetrator of the flag desecration to turn himself in to the authorities and apologize before an “independent judiciary.” He explained that no one can impose themselves as, “the spokesperson of the country, or of religion.” The flag incident at Manouba has been met with widespread condemnation by Tunisian political representatives, civil society activists, and citizens. However, no charges have yet been filed against the individual responsible for the incident. Salafis do not feel that the flag did not represent them (any country’s flag! ); only the salafi flag is considered by them to be the banner of Islam. Is it possible for something positive to come out of the flag incident? Actually several! 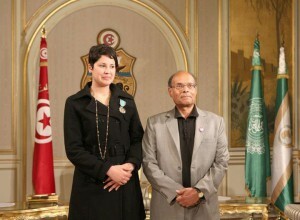 A Tunisian woman stood up for citizenship and national identity, despite the violent assault on her. It was also a wake-up call. 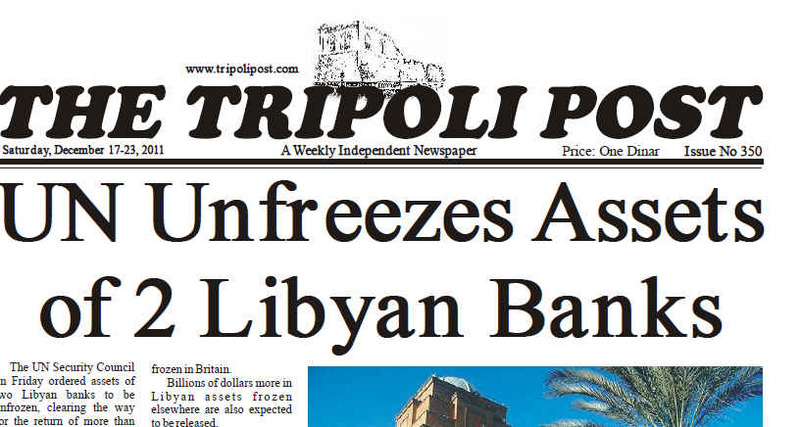 Tunisians (most) felt like citizens united under their red flag. 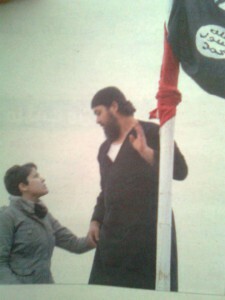 In the end, one of the salafi protesters returned the Tunisian flag high upon its pole, suggesting that differences of opinion exist in all groups. Handling and disposal of sacred texts or other religious items can be a problematic issue for the ‘layperson’ (and sometimes a matter of life and death if the text is ‘desecrated’!). 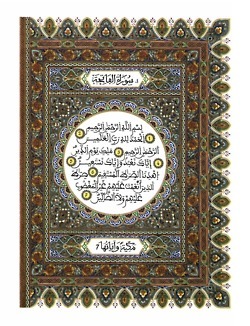 In the Muslim tradition, the Koran (Quran) is considered the literal and sacred word of God, the direct link to the divine, the source of the faith, and it is the most important symbol of their religion. But Muslims don’t worship the text of the Koran itself. So, how do Muslims respectfully dispose of a text of the Koran that is no longer usable? The proper way to dispose of the Quran is to first soak it in some water for a few days, and then bury it. So the ink comes off. (1) Wrapping them in a piece of cloth or something pure and burying them respectfully in a place where people normally do not walk upon. (2) Fastening the items to something heavy such as a stone and placing it respectfully in flowing river. (2) Burying, for which a place that is clean and safe from tampering should be chosen. A deep hole should be dug in which it is thought most likely that the buried copies will disappear for a long time. They may be buried in a clean, pure place where they will not be subject to mishandling in the future, to the best of one’s knowledge. (3) Shredding. This may be the easiest way nowadays. There are machines into which one inserts papers and they shred them into tiny pieces, so that they are no longer regarded as words of the Qur’aan or even legible letters. This is clean and safe and does not involve a lot of effort, as is the case with burning or burying. BOTTOM LINE: Burning the Koran is permissible if done respectfully! When Koran Burnings Incite Riots and a Mass Murder Doesn’t. 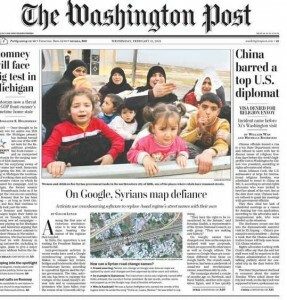 NY Times. 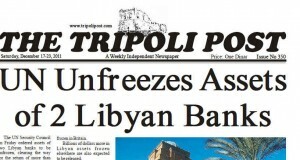 Issue Date: March 15, 2012. Section: International. GUANTANAMO BAY, CUBA APO AE 09360 [handling the Quran at Guantanamo]. In recent weeks, anti-government Syrian activists used Map Maker, a Google crowdsourcing program, to rename key streets, bridges and boulevards after revolutionary symbols and heroes.